Potato Cleaning Washing Machine offered can be made available by us with advanced technology support so as to efficiently handle the demands of potato cleaning operations. The system comes developed with latest machine fabrication technology and strict quality control so as to offer efficient working performance. Some of its features include all parts made of stainless steel, durable brush support for easy cleaning, low power consumption, easy operating interface, suitable for use in large vegetable farm. We offer best quality Potato Wafer Making Machine to our customers. The Potato Wafer Cutting & Slicing Machine (Automatic) offered us is used for making Plain Chips, Ruffle Chips, Lays type Chips, Thick Salli (Jada Lachha) and Thin Salli. 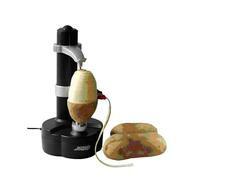 The Potato Peeler Machine offered by us is manufactured by us with the assistance of cutting-edge technology. It is made with superior quality, pure and food grade stainless steel. 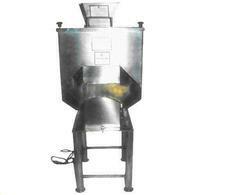 Potato Peeling Machine is widely applied within diverse potato wafer manufacturing industries. Our engineers manufacture these machines with high concern towards infusing quality and efficiency in them. 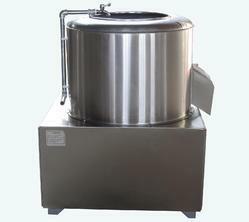 It mainly operates in a batch mode and is utilized for peeling the skin of raw potatoes with the help of a pressurized flow of water. Capacity – 100 Kg/Hr. onwards Power Requirement – 0.5 hp, Single phase Floor Space - 1m x 1m x 1m We are reckoned as one of the leading manufacturers and exporters of comprehensive range of agricultural machinery and food processing machinery. Our technically advanced machinery has won high acclaim from our clients in food processing industries. Looking for Chips Plant ?